As news comes in of iPhone users being duped by spoof videos on social media, claiming that their new handsets can indeed be used under water, the story reflects the epitome of Schadenfreude – a German word used to describe ‘pleasure derived from the misfortune of others’. The English language does not have a fitting one-word translation. Much as some iPhone users may indeed have a few annoying traits (don’t we all?) – such as whipping said gadget out over dinner to Google some fact or figure or prove a point – I find it reveals the extent to which some people’s jealousy or annoyance will go. Perhaps unable to afford one of the new, snazzy 5S or 5C models for themselves, many derive great joy in duping others into destroying their brand new piece of tech. Much like the spoilt brat, unwilling to share a toy or give away some sweets, they think: “If I can’t keep it, then you shouldn’t enjoy it either!” – and then proceed to smash the toy to the ground or smother the sweets in dirt. I’m no iPhone fan – and most will argue that the users should not have been so gullible – but I find it disconcerting to imagine that an increase in similar pranks via social media will likely ensue. Ah, the internet at its most debased – a breeding ground for the immature, the resentful and the narcissists. For what goes on online doesn’t stay online. It’s mirrored back into the actions and activities of those in everyday settings and everyday life. Our real neighbours and colleagues can quite easily reflect our online neighbours (or similar versions of them) – just as bullying on social media soon transfers to bullying in school corridors and work or social venues. Let’s hope social media sites will fight back to redeem their more worthy features – such as community, shared information and links and pursuit of the common good. Used in commendable contexts, the internet can be a lifeline and a joy. The lonely are connected, good causes are promoted, businesses succeed. Conversely, if even just a few set out to pursue Schadenfreude, there will be innumerable ways for them to achieve this end. The consequences of unkind actions can permeate both the online and offline atmosphere. Some will brush off such stunts as mere jokes, but I find them mean spirited. Attempting to damage others’ property through deceit is not a minor issue. Long before spoof adverts or hoaxes were even invented, it seems that Schadenfreude is something God also had an opinion about. The biblical proverb states: ‘Do not rejoice when your enemy falls, And do not let your heart be glad when he stumbles; Or the LORD will see it and be displeased.’ (Prov 24:17) There are some things that cross the line, and I think we know what type of actions or hoaxes they are. We all do it. Sizing people up, making nanosecond judgements about the people we meet, based on various unwritten criteria floating around our heads. Brainy. Boring. Mumsy. Geek. Chav. Fun-loving. Hippie. Mean. Tarty. Snob. Last week, someone said that I didn’t look like a mother, I didn’t seem the type. Yikes, is that a good thing (as in, I don’t look all mumsy)? Or is that a negative thing (do I look like a self absorbed person who wouldn’t possibly want children)? Or is it simply that I look too young to have kids (I know I often look far younger than my age)? I’m pretty certain I don’t look like I could be fluent in German, yet I am (well, used to be), having studied German and European Studies for four years. Now I’ve written a children’s novel (as yet unpublished), I’m wondering whether I look like a writer or author. Maybe on some days, who knows! And finally, apparently I don’t look like a Christian. That one made me smile. A year 8 pupil once made this announcement after the topic of church came up and I mentioned my interests in this area. “Really, you go to church?” he said. “But miss, you don’t look like a Christian!” Again, I really wasn’t sure at first whether this was a positive or negative thing. But then I quickly determined that it was, in fact, rather a good thing. Who says that a Christian has to look a certain way anyway? I certainly wasn’t wearing anything outrageous to class that day, just my pretty average teacher-y gear, perhaps my cool brown boots, though I really can’t remember. It just goes to show how wrong we can be about someone, based on first impressions. It’s funny how in the Old Testament, no-one thought that young David looked like warrior or king material. In fact, he was the least likely candidate. Yet he went on to defeat the fearsome menace Goliath and reigned over Israel for 40 years. And who can forget Susan Boyle, star of Britain’s Got Talent show a few years back? No-one expected her to sing with such power and capture the hearts of the audience. Has anyone ever been surprised to hear what your roles or skills or interests are? Or have you ever been way off the mark in your judgements about someone? 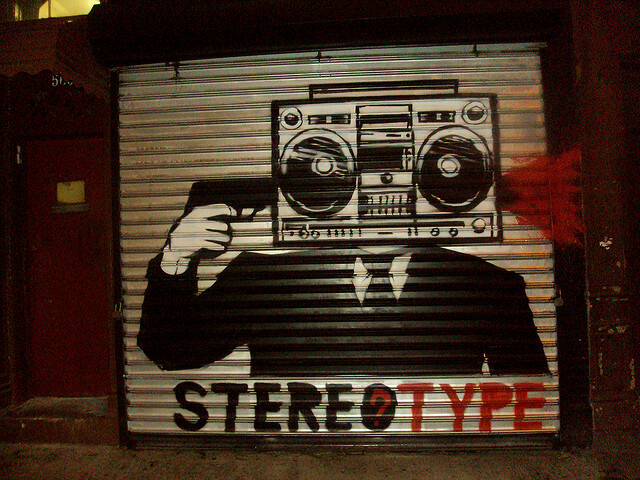 As for me, I’m all for surprising people and smashing stereotypes. 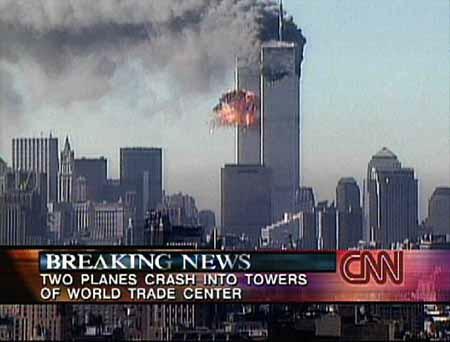 September 11, 2001. A date forever etched on most Westerners’ minds, and certainly that of most Americans. Everyone speaks of where they were on that fateful day. We don’t even need to think about it, the memories flash instantly back to us. I remember it clearly. I was with my two young children over at a friend’s house when the phone call came. It was an ordinary day, we had been chatting over cups of tea as the little ones delved into toy boxes. My friend switched on the TV and we gawped in disbelief at what we saw unfolding on the screen. As our kids squealed and played in the background, oblivious to the immensity of the moment, we watched the scenes of devastation. The Twin Towers, those iconic buildings that grew to represent New York City, were unable to withstand the attacks. On September 11, we don’t just remember the where. We also remember how we felt. The shock, the helplessness, the incomprehension, the startling realisation after the second plane flew into Tower Two that this was not an accident. The sinking feelings as news cameras on the ground relayed the fear of those in the vicinity of lower Manhattan. The widened eyes of incredulity as word spread that office workers were jumping out of windows to escape the flames. My husband, Tim, and I had lived in New York City for several months before moving out to a suburb in New Jersey. Tim used to commute to work in the financial district, arriving by train at the World Trade Center. We had walked those streets and loved the picturesque skyline. I even had a visitor’s pass which allowed me to take friends to the top floor of Tower One, to the unique ‘Windows on the World’ café with spectacular views across the city. I’d taken several friends, relatives and even my first son in a baby carrier up there. My son was born in America – I held a distinct affinity for the World Trade Center and the American people. I was gripped by the images on the TV and felt gutted. We had been back in the UK less than a year before the towers fell. Tim and I recognised that we could have been caught up in the turmoil of that fateful day and the aftermath of the following months. Over the next few days after September 11, I could think of little else. Above all, I just found it hard to accept that it had actually happened; it seemed surreal. September 11 is a yearly reminder that I should take nothing and no-one for granted. That I don’t know what’s ahead around the corner and that I should value every moment with my family. No one called their bank or their boss on September 11; all that mattered was family and friends. And as each year rolls by (has it really been 12 years?) we see how fleeting this life is. It could possibly go down in history as one of his most embarrassing moments in office. That, along with the time he and his wife, Samantha, drove off home without realising that their daughter was not with them, but rather left behind at the pub. Poor Cameron, it’s not fun being made a laughing stock. Though I’m quite sure that someone would have warned him that it was part of the prime ministerial job description. 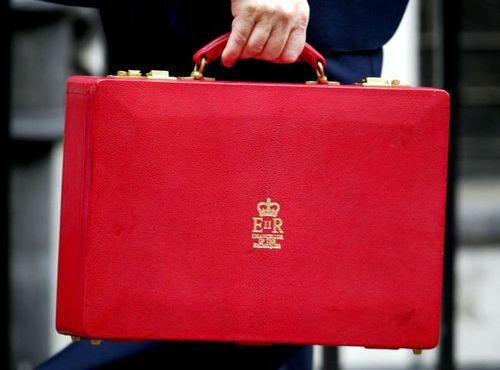 Leaving his distinctive red, ministerial box, full of official documents and potential state secrets, in full view on a train table, with the key still inside the lock, will be remembered for quite some time. Never mind the fact that Cameron was just a few steps away at the buffet car or that his official security people were watching over his stuff. We can all picture Bourne Identity style scenes as rogue spies swoop in to whisk away said briefcase, while bumbling officials sip coffee or check their Twitter pages. Even the guy who snapped the photograph and ran to the tabloids could have been a dodgy opportunist. Oh the perils of parenting flaws or major gaffes in the public eye! We mere, ordinary mortals do not run the risk of having the times we left our Mastercard in a store card machine or let our toddler run amok in a shopping centre (ahem!) plastered across the Daily Mirror. I, for one, am immeasurably glad to be rather incognito in such circumstances. So why are we so unwilling to cut him some slack or to downplay such incidents? He’s only human, surely we all make errors? Do these blunders really matter all that much? Or do they demonstrate the height of irresponsibility? Today I’m privileged to have an article featured over at Threads, a really great site. Check it out!